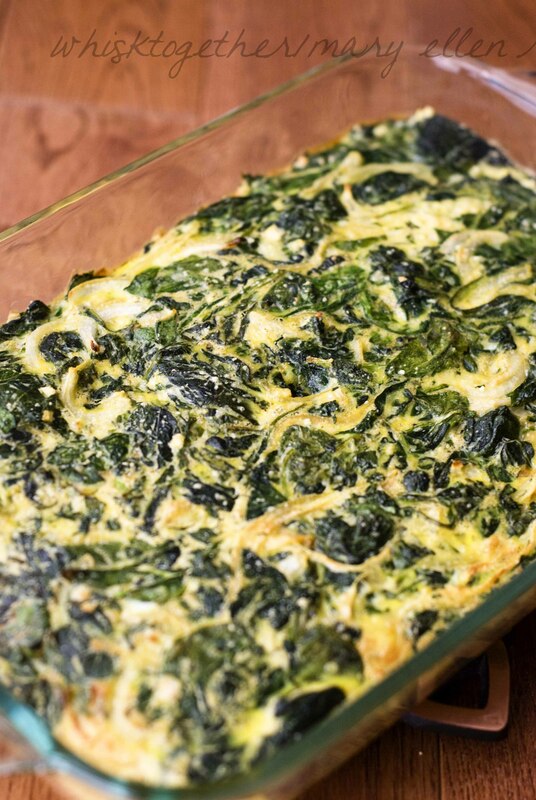 Fast, fresh and easy Spinach Egg Casserole. 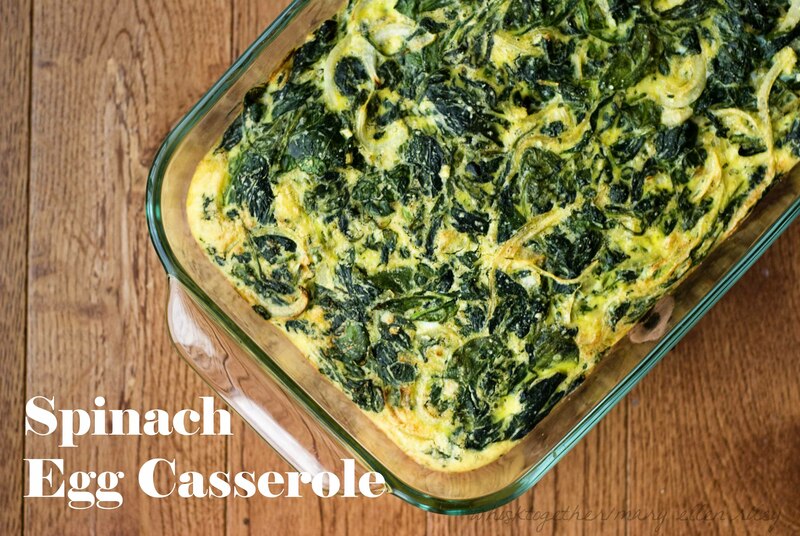 You don’t need to huge a loaf of carbs, I mean bread, for this casserole dish like many others. It only requires a handful of ingredients to throw into the skillet. Use a casserole dish, muffin pan, mini muffin pan, bar pan or whatever shape you want your eggs in! 4. I can freeze it unbaked. 5. I can make it in different sizes like muffins, casserole dish, etc. 6. I doubled the recipe once to fit into a 7×11 casserole dish. The cooking on the stovetop was impossible, so the oven cooking time at the end must be 45-55 minutes. 1. Preheat oven to 350 degrees. Remove any large stems from the spinach. Rough chop all but a handful of leaves. 2. In a 8″ oven safe skillet, heat olive oil over medium-high heat until hot and shimmering. Add onions. Reduce heat to medium. Cook until translucent. 4. Adding in batches, add chopped spinach to wilt it. 2-3 minutes. 5. 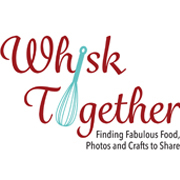 In a large bowl: whisk together eggs, cheese and cayenne pepper. 6. Once spinach is wilted, pour onto a paper plate covered with paper towels. Squeeze out the excess moisture. Stir this spinach mixture into the egg mixture. 7. Add oil to skillet if it is NOT non-stick. Or leave alone if it is non-stick. Pour egg mixture back into the 8″ oven safe pan. Cook the eggs about 5 minutes over medium heat. Then, put the entire skillet into the oven for 8-9 minutes. Eggs should be set in the center. looks good! i have alot of spinach to use up so maybe this will be dinner tonight. yum! Me too! I freeze tons of it and have to find different uses all of the time.